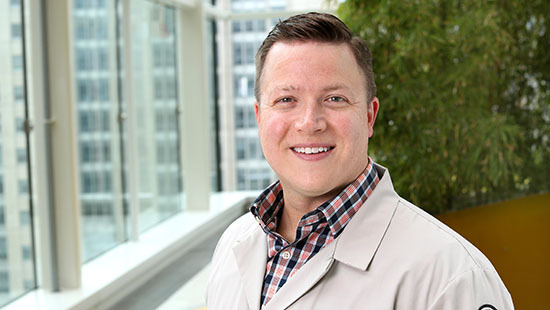 The goal of the Pediatric Gastroenterology, Hepatology and Nutrition fellowship training program at Ann & Robert H. Lurie Children’s Hospital of Chicago and Northwestern University’s McGaw Medical Center is to provide trainees with the experiences necessary to become academic pediatric gastroenterologists or hepatologists. To do this, we focus on a comprehensive clinical, procedural, research and educational experience that will allow the trainee to develop the necessary skills to define career paths and goals and to become a leader in the field. This three-year fellowship is fully accredited through the Accreditation Council for Graduate Medical Education and meets the training requirements of the American Board of Pediatrics for subspecialty certification in Pediatric Gastroenterology. We accept two fellows per year of training, and there is an additional opportunity at the completion of the three-year program for advanced training in transplant hepatology. The fellowship curriculum provides diverse educational experience, including core didactic teaching sessions, fellow-driven learning sessions and divisional conferences, which include journal club, clinical subject review, outcomes review and interdisciplinary conferences with pathology and radiology. Fellows are freed from clinical duties during these conference to enhance the educational experience. Divisional conferences are supplemented by a department-wide fellow’s college, which provides programs on quality improvement and career development, as well as an ethics curriculum. Additionally, fellows have the opportunity to pursue additional educational endeavors through Northwestern Memorial Hospital, Northwestern Feinberg School of Medicine and the Feinberg Academy of Medical Educators, including small-group teaching sessions, focused small-group lectures and certificate and degree programs (certificate in Medical Education, master of science degrees). During the second and third years of fellowship, the emphasis of training transitions from clinical to research experiences. Significant research infrastructure and resources are available to support our fellows’ research, and there are opportunities for clinical, translational and basic science research within the division and through collaboration with colleagues at Northwestern. Goals are set for each stage of the fellow’s experience from identifying a research mentor and developing a research plan through submission of the manuscript. All fellows have a faculty research mentor who provides guidance in developing the design of the study, writing the proposal, overseeing the data collection and analysis and helping with the preparation of abstracts, posters, presentations and the final manuscript. During these research years, fellows are also mentored through a quality improvement project under the guidance of Lee Bass, MD. In this research-focused time, fellows have the opportunity to pursue advance degree programs, including master’s programs in clinical investigation, public health, health quality and patient safety and health services and outcomes research. The fellowship training provides a broad exposure to prepare fellows for an academic career. Fellows acquire clinical proficiency in both inpatient and outpatient aspects of pediatric gastroenterology, hepatology and nutrition as well as proficiency in common procedures, including diagnostic and interventional upper endoscopy and colonoscopy and percutaneous liver biopsies. In addition to inpatient, consult and procedural rotations, fellows participate in a longitudinal continuity clinic and have opportunities to rotate through core subspecialty clinics. These include specialty clinics in hepatology, non-alcoholic fatty liver disease, intestinal rehabilitation, inflammatory bowel diseases, motility, aerodigestive disorders, eosinophilic disease and feeding disorders. Many of the programs are regional referral centers for management of these complex diseases. There are currently 22 faculty within the division who have a broad variety of clinical interests and expertise, which further enriches the clinical experience.